I’m very pleased to host Kathleen Rouser as she guest blogs about her research into historical pharmacy. This is excellent information for both the historical and contemporary writer. I know your plot wheels will turn with this information. Shortly after the time Adam and Eve were forced to leave the Garden of Eden, because of their fall into sin, human beings most likely began looking for relief from pain and sickness. Perhaps by God’s guidance or by what seemed like coincidence, they found that there were certain plants that not only nourished, but also relieved symptoms or cured illnesses. Throughout the ancient world healers emerged, whether as a medicine man, priest, wise woman or physician. They were brave enough to search by trial and error to find the right cure for each malady. These practitioners, whether spurred on by superstition or curiosity, had to figure out which plants healed… and which ones harmed. The line between healing and poisoning was often quite fine. A few of the remedies the Sumerians used were made from licorice, myrrh, mustard and oleander. The Code of Hammurabi, originating during his reign (1795-1750 BC), regulated medical practice. There, apothecaries emerged, since the role of preparing medication was considered separate from that of the physician. Around 1500 BC, the Egyptians wrote a dissertation on medicine and pharmaceuticals. 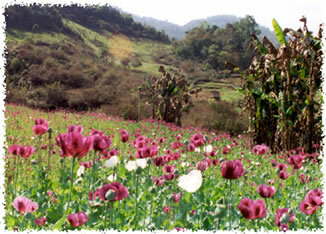 Among many plant sources they derived their drugs from were castor seed, spices, poppy and acacia. They imported some ingredients due to the limitations of what they could grow. The Egyptians developed ways to dry, ground up and weigh these materials. Those that concocted medicines were called ‘pastophors’ and were members of a priestly profession. Seventh century BC clay tablets have been discovered revealing that the Babylonians used many plants as pharmaceuticals including castor seed, thyme, peppermint, myrrh, poppy and licorice. Various theories of diagnosis and treatment arose through the Greek and Roman civilizations. Pedanius Dioscorides, who lived from around 50-100 AD, wrote Materia Medica, which listed various materials with their medicinal uses and also Codex Aniciae Julianae. This text on herbals, listed many plants and how to prepare them through drying and extraction. Dioscorides, a surgeon to the Roman armies, shared a philosophy with another famous Roman medical man, Galen. They believed that each plant’s shape, color or other physical characteristics left a clue as to which body part or ailment it was meant to treat. By the 16th century, this was foundation to one Christian viewpoint, which had expanded upon the Doctrine of Signatures, stating that it was the Creator who had marked each of these plants for their use. During the Dark Ages, the Arab world and the monasteries of Europe, with their healing gardens, preserved much pharmaceutical knowledge. Throughout history, many folk remedies, based on superstition, were supplemented with chants and rituals. Most often they missed the mark, perhaps imparting comfort if nothing else, considering man’s need to feel as though he is doing something! But apart from that, many plants continued to be used for healing and a large proportion of modern day prescription drugs are rooted in their derivatives. Some emerged to the forefront. During the 1600s, European Jesuit missionaries in South America sent a powder back home, derived from the bark of the cinchona tree. They’d been surprised to find out that the Native Peruvians knew how to successfully treat malaria, an illness spread by mosquitoes that has killed so many. In 1820, when French chemists extracted a chemical compound from the powdered bark of the cinchona tree, they called it quinine, based on the Peruvian name for the tree, quinquina. William Clark and Meriwether Lewis took cinchona bark with them on their westward expedition. Lewis’s mother was an herbalist of some renown and imparted some of her knowledge to her son. While the men did not wind up contracting malaria, they found the bark useful for lowering fevers and as ingredient in poultices. Would you like to know what “simples” are? 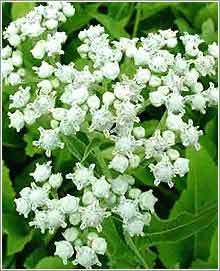 And what potentially poisonous plants are used in pharmaceuticals today? Come back for Part II and find out! Kathleen lives in Michigan with her hero and husband of over 30 years. First, a wife and mother, she is “retired” after 20 years of home educating their three sons, who are all grown and have moved away. Kathleen has been published in Home School Digest and An Encouraging Word magazines. She writes regularly for the local women’s ministry “Sisters” newsletter. She also contributes articles and author interviews to Novel PASTimes, a blog devoted mostly to historical fiction. You can connect with Kathleen via her website.